Brandywine Hundred loses funding for Grubb Road sidewalk; Weiner: "Brandywine Hundred citizens have been shortchanged." New Castle County Councilman Robert Weiner, who has been an advocate of a sidewalk for years, said transportation officials should not have allowed a "minority" of vocal residents to ax the project. DelDOT's role, he said, is not to achieve a complete consensus but rather to move forward with projects that will increase the safety of residents. "Brandywine Hundred citizens have been shortchanged," Weiner said. "A few people's contrary opinions should not dissuade DelDOT from moving forward with a plan the majority supports." The project has not been scrapped, however, he said, as it has been placed on another DelDOT project wish list, called the Capital Transportation Plan. Now, it is one of numerous unfunded projects on that queue. "We still think it's a viable transportation project," said Boyce. "Just because it's hard (to gather consensus) doesn't mean we're not going to try again." 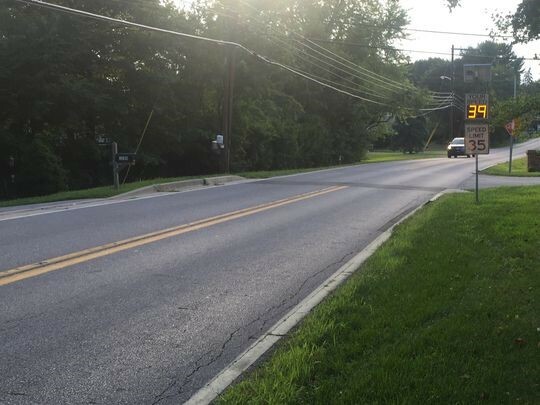 Plans to build a sidewalk along a dangerous one-mile stretch of Grubb Road in Brandywine Hundred have been stalled after the project was removed by state officials from a list of funded transportation ventures. Grubb Road is lined by tree-shrouded suburban homes and ties subdivisions together between Foulk and Naamans roads. A bar sits along the street's intersection with Foulk Road, and four schools lie about a mile or less from the stretch of roadway. But Grubb Road between Majestic Drive and Country Gates Drive has no sidewalk, no paved shoulder, and hedges that sprout up directly next to the roadway in places. For about a decade, residents and state officials have tossed about plans to build a sidewalk so that pedestrians can safely walk. But disagreements over where to place it have kept the idea from materializing. "Everybody wants the same thing. We need a freaking sidewalk, it's dangerous ... if you're walking up the street," said Mike Kiernan, an independent contractor who lives on Grubb Road. "It's just nobody wants it on their side of the street ... and I don't really want it on my side of the street either." As a result of the disagreement, officials said, the Grubb Road sidewalk was the only planned future project to be removed from the Wilmington Area Planning Council's recent $2.3 billion priority list for transportation projects. Approximately $550,000 had been directed to fund engineering and right-of-way purchases for sidewalk construction on Grubb Road last year, said Heather Dunigan, principal planner at WILMAPCO. That funding has been rescinded. Cars pass along Grubb Road in Brandywine Hundred. Funding for a sidewalk on the roadway was rescinded this summer. "It's an area where people need to walk but have nowhere to do it safely," said Dunigan. But "my understanding is (DelDOT) removed the funds because they didn't feel there was consensus" among residents. Along with the Delaware Department of Transportation, WILMAPCO plans roads, bridges and transit projects that are partially federally-funded in New Castle County. 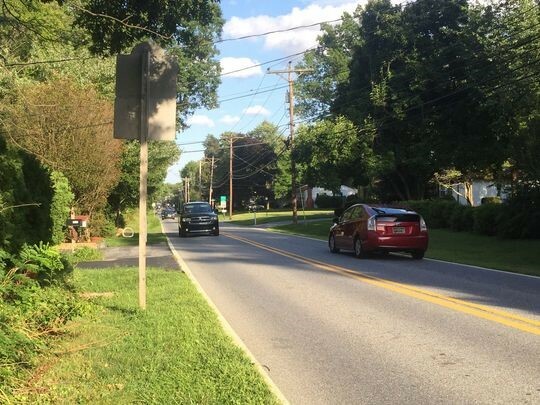 Now that the Grubb Road sidewalk project has been removed from the WILMAPCO's priority list, it won't be funded for at least three years, said Drew Boyce, DelDOT's director of planning. The project has not been scrapped, however, he said, as it has been placed on another DelDOT project wish list, called the Capital Transportation Plan. Now, it is one of numerous unfunded projects on that queue. "We still think it's a viable transportation project," said Boyce. "Just because it's hard (to gather consensus) doesn't mean we're not going to try again." New Castle County Councilman Robert Weiner, who has been an advocate of a sidewalk for years, said transportation officials should not have allowed a "minority" of vocal residents to ax the project. DelDOT's role, he said, is not to achieve a complete consensus but rather to move forward with projects that will increase the safety of residents. "Brandywine Hundred citizens have been shortchanged," Weiner said. "A few people's contrary opinions should not dissuade DelDOT from moving forward with a plan the majority supports." 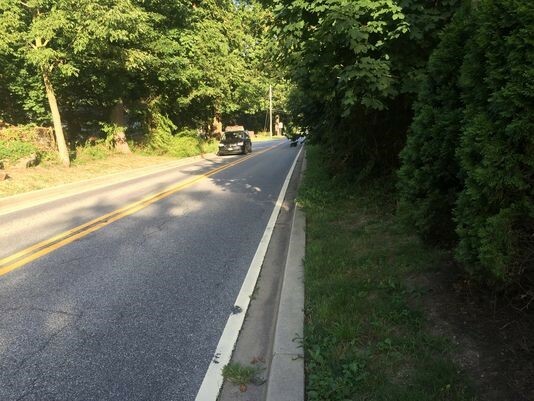 Joe Iacono, a landscaper and Grubb Road resident, noted that a sidewalk could increase home values along the road, in addition to safety benefits. "It's not going to affect anybody's curb appeal in my eyes," he said. "A sidewalk or a bike path is beneficial." Kiernan said he other neighbors do worry about burglaries in the area, and a sidewalk could make it easier for thieves to "scope out" a home. After a few minutes of contemplation, however, he noted that no one is ever going to be completely satisfied. "You almost want (a sidewalk) to go on both sides of the street...then nobody can complain," Kiernan said. An automatic radar measures the speed of vehicles on Grubb Road in Brandywine Hundred. Plans for a sidewalk on the road lost funding in August.